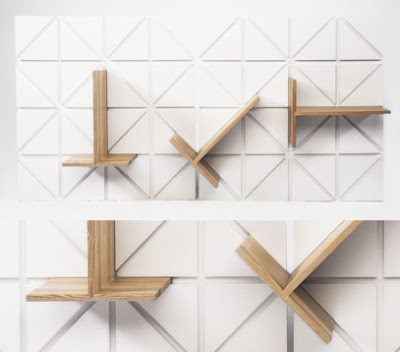 Hey thanks Mr.Johannes Herbertsson & Karl Henrik Rennstam for bringing modular shelving system made from MDF and ash, featuring a wall mounted modular block and easily detachable shelves that require no fittings. This shelving is looking awesome. what a nice blog! very unique, I like the niche you have chosen! there are really a lot of cool shelves out there! I don't know if you haved blogged about B&B Italia's 11-5 shelf modular system? that is one of my favourites! I really liked this one as well! very unusual and decorative in a simple way! I don't know the 11-5 but have covered others of theirs before and more coming up. Thanks for the kind words.